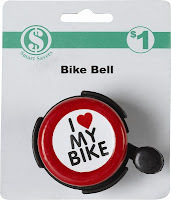 On Thursday the U.S. Consumer Product Safety Commission and Do It Best Corp., of Fort Wayne, Indiana announced the recall of certain kids' bicycle bells. The bells, sold for a buck, apparently contain dangerous amounts of lead. Here is a link to the recall notice.